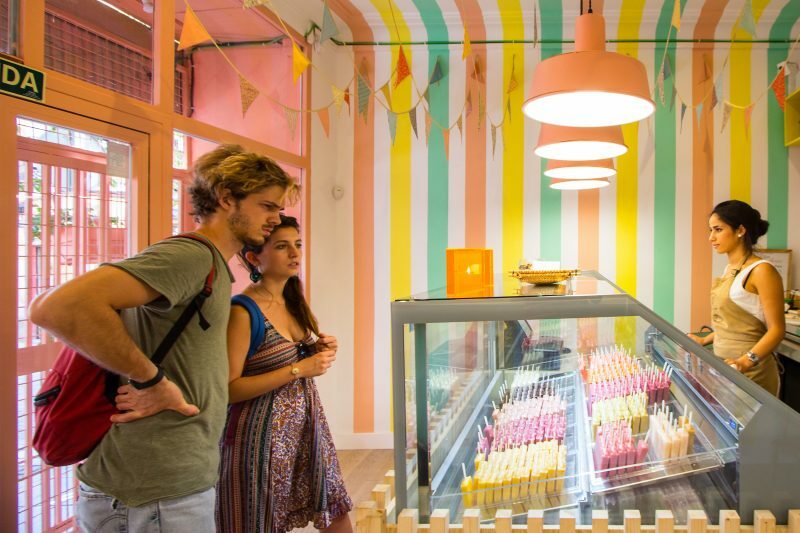 The most neat ice cream parlours in Madrid in 2017. 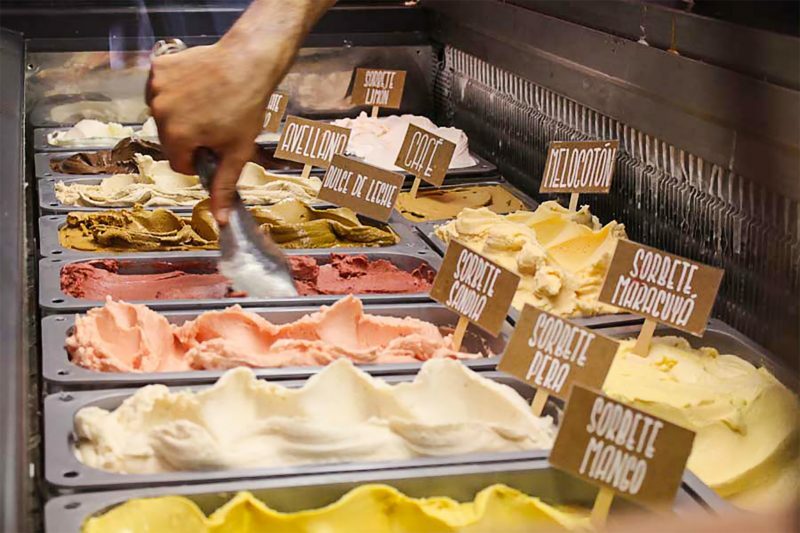 Since 2015 it has been coloring Malasaña with their ice cream. It was the first to bring healthy ice pops to Madrid. With a lot of fruit and no preservatives or colorings. The place is small and colorful, like a small refuge with the colors of the ice pops on its walls. They change their flavors because its fruit is fearful, and it also have sugarless and gluten free ice pops. My favourite? Chocolate and banana. It has benn rocking Malasaña. In fact, there’re very few places where people queue at two-thirty in the afternoon with the Madrid summer. It has coupled two of the Japanese sweets that I like, taiyakis (a fish-shaped pie) and creamy ice cream. 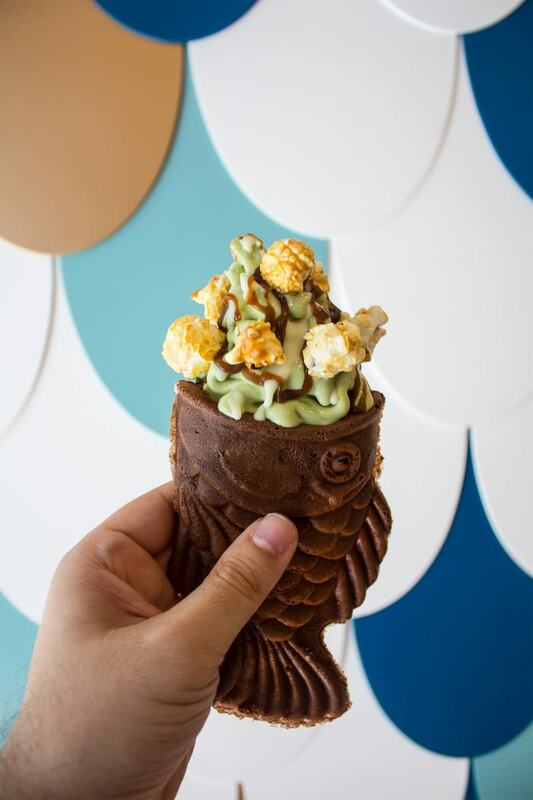 I know you’re going to taste these delicious fish, so I’ll tell you my favorite: “chocolate taiyaki with creamy matcha tea ice cream”. It’s also the favorite of many Asians who go there. 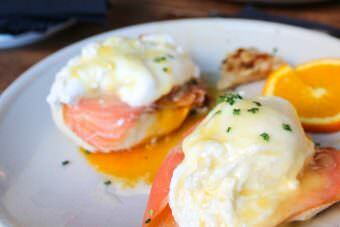 It was already gourmet almost before this word was added to our vocabulary in Spain. It continues with the same decoration since it opened in the decade of the 70. Really vintage. It’s close to Santiago Bernabéu Stadium, so all the “merengues” have a must stop in summer. Its terrace is shaded many times and it has infinite flavors. It even has unsweetened green tea ice cream, yummy! The best way to define it is “ice cream sandwich”. Tiny place next to Tribunal where you have to choose 3 elements: the sandwich, the ice cream and the toppings. 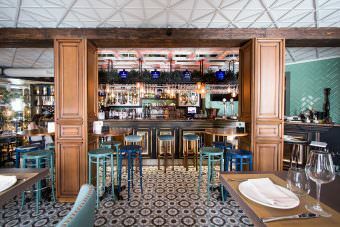 It has 6 combinations already thought out, like the “triki moster” or “la movida madrileña”, but the options are endless. Of course, it’s thought to make a parenthesis in your diet. Although a day is a day, is not it? 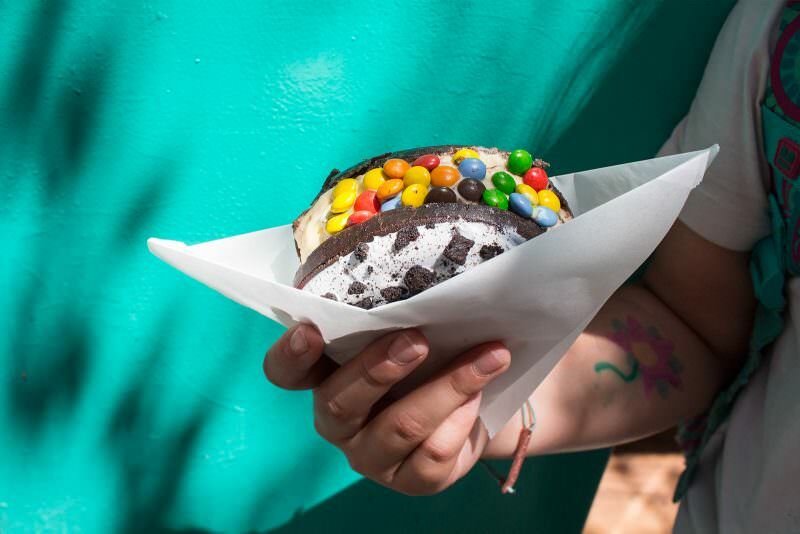 And that day you can order a donut stuffed with ice cream and chocolate nuggets. For example. Ice cream shop in the middle of Chueca with a very curious way of putting ice cream on you. First you choose the flavors and then they mix it with spatulas on a stone plate that is at -20ºC. This is why their ice creams are creamier than the rest. My fav is “papaya with Macadamia nuts”, but if you have a hunger pang you can also eat waffles and crepes. 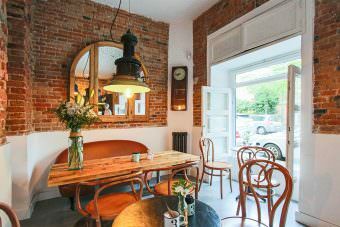 They owners have opened three other locations in Madrid. It’s not by chance. 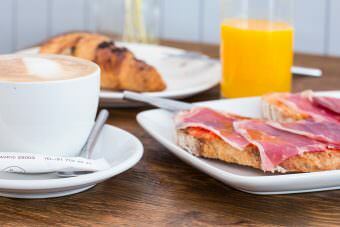 In the area of the Serrano Gourmet Experience, in Salamanca district, you can also give you a craving. 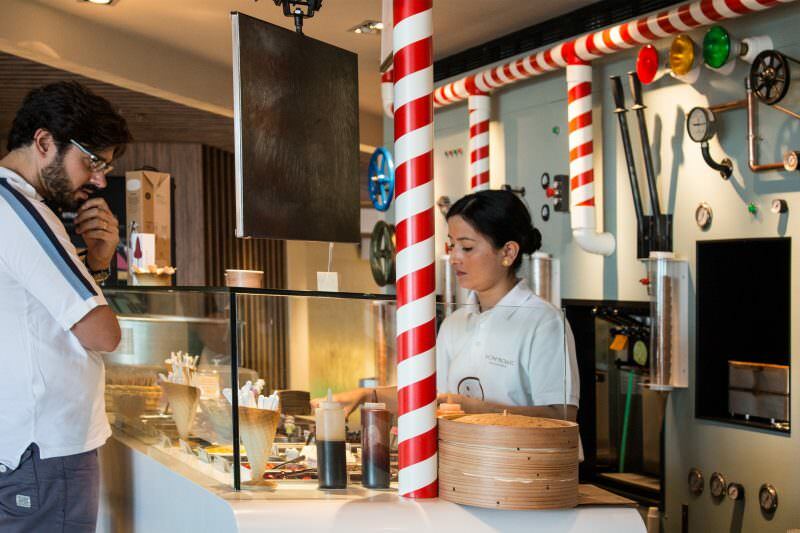 Of course, to eat the ice cream of Rocambolesc you have to do a line. You may be lucky they’re giving new flavors for free to do an survey. Even if it is not, its 6 flavors are great. From chocolate ice cream to coconut sorbet ice cream with violet. Take advantage and enjoy the views of the rooftops of Madrid. Alessandro of Vida of Madrid doesn’t doubt it. And Morena of LaMadridMorena, the same thing. 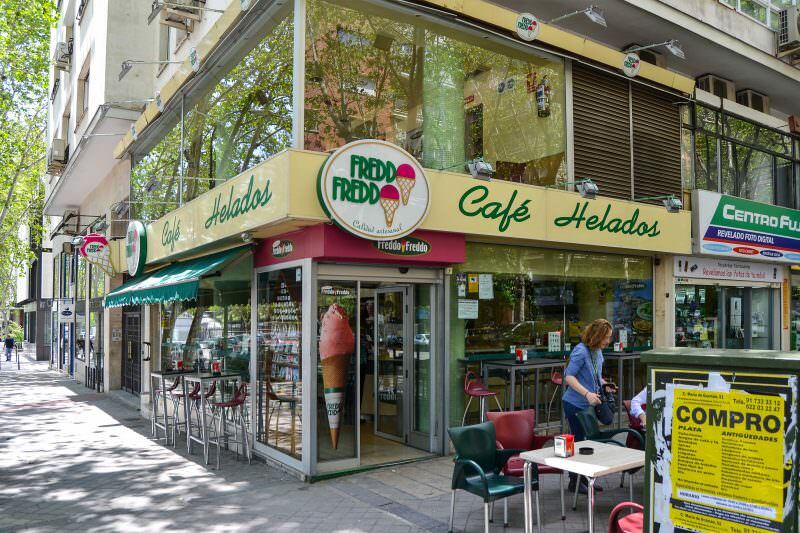 Helados Gamela is one of the best ice cream parlors in the center of Madrid. After 30 years in Baiona they have landed in Madrid with their famous popitos de crema y Popifrutas. 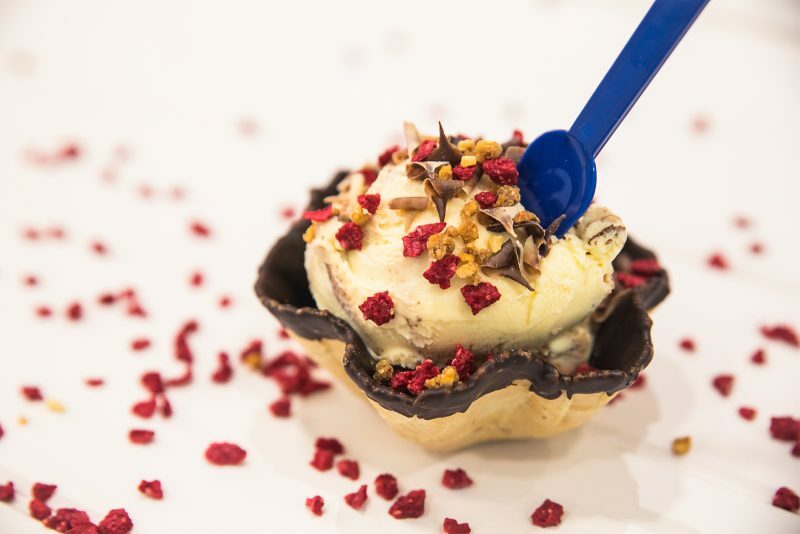 Homemade ice cream, from which you can see the pieces of fruit and nuts. That’s not to belittle the lifelong ice cream tubs or frozen yogurts. I’m not one of those people who eats ice cream all year round. But when the heat squeezes in Madrid, an ice cream is the best ways to cool down. Especially with those I’ve told you that have lots of fruit. 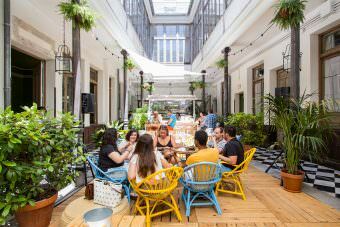 Together with my guide of terraces of 2016 and 2017 and where to eat fresh in Madrid, surely you are much more fresh summer.